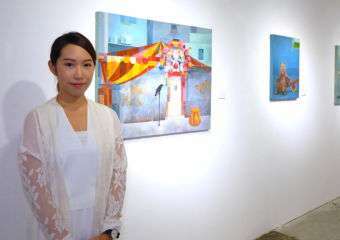 Born and raised in Macau, Cecilia Ho is an experienced artist who is both in front and behind the creative process of her conceptual and aesthetic works. It involves an intense observation of people, places, and recordings of social, economic and cultural conditions. Cecilia aims to entrench Macau’s unique Chinese and Portuguese heritage as a vibrant cultural destination in the world. The first edition of Photo Macau | Art Fair will run three days, it is dedicated to present a world-class fine of digital and print art to Macau. Photo Macau | Art Fair is the first art fair of this kind in Macau. Why Macau? How does Macau inspire you? I was born in Macau and returned last year after living abroad and developing my career as an artist first as a painter and then as a photographer and video performer for more than 30 years. I felt strongly that I had to make my contribution to the development of the Art Scene in the City. The aim of Photo Macau | Art Fair is to bring together the world’s leading photographers, curators, collectors, dealers and art lovers – an ambitious project for small Macau. What were the challenges? Actors in the international Art Scene are prepared to travel the world in their quest for artists and artworks. Destination as such is not their primary motivation as long as they have reason to believe that they will find what they are looking for. Macau is actually twice as large as Basel in terms of population. With its unique cultural heritage, Macau is taking a very special place as a metropolis in the making in the Greater Delta region. Challenges we met are inherent to every new venture. Galleries now have many destinations to choose from to exhibit their artists and works. Quite naturally they are prudent when considering a new Art Fair. Photography and video art most certainly have been a growing trend. Thoughts? Come and visit Photo Macau | Art Fair. For our first edition, we have an international panel of renowned academics, curators, artists, and collectors who will be debating this very topic. 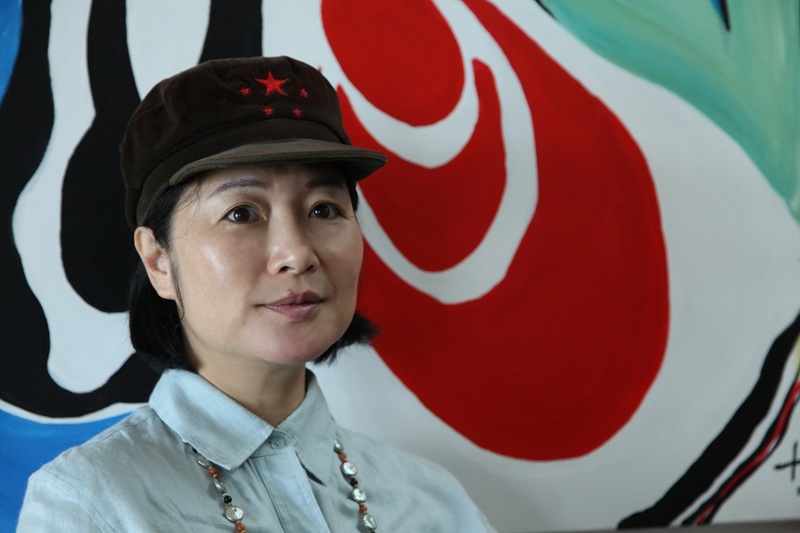 You were born in Macau, exhibited in London and have been a prominent figure in the Hong Kong art scene for years. What’s your view of Macau’s art scene versus the world? I am convinced that Macau has what it takes to become an art destination on the world map. We are at the early stage of such development which makes it even more exciting. In a fast evolving art scene, especially when it comes to photography, moving images, or virtual reality we believe that smaller more specialized art fairs will be able to adapt and react faster. 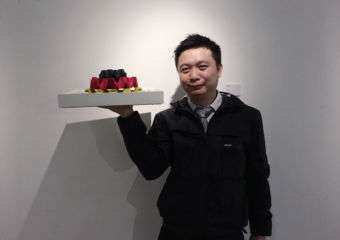 They are also more responsive to galleries’ needs to find their market. What are your favorite places and things to do in Macau? What can the visitors expect from Photo Macau | Art Fair? Exhibitions: A video installation on the Confucius rite presented by Professor Jeffrey Shaw; Mike Steiner’s collection featuring Ulay and Marina Abramovic’s extraordinary video performances; and vintage prints retracing Horst P. Horst’s 50-year career that will provide visitors with a very different experience of the world of image. We want to celebrate it by illustrating its depth and diversity. Participating Galleries: Osage from Hong Kong, Anita Beckers ( Frankfurt), The Reference ( Korea), Cultogethery Taiwan and DNA Macau will exhibit remarkable artists and works that will capture the imagination and interest of visitors. And a series of talks and presentations which will present visitors with the opportunity to hear from and engage with leading international academics, curators, artists and collectors on the changing art scene of images, still or moving, “real” or virtual. In this digital age, art is moving online. What is the role of social media and how important is it? There is no question that social media has revolutionized communication and to a large extent replaced words with emojis and images. That being said I believe that we are still at the early stage of what the digital world can bring to the art scene. As of now, it continues to provide artists with new tools of artistic expression and sources of inspiration, allowing them to reach an ever larger public of art lovers. One of Asia’s newest international art fair dedicated to the art photography and moving image that aims to bring world-class fine art photography and video to one of Asia’s fastest-growing economies are coming to The Venetian Macao this March. Through a carefully curated collection of art and photo galleries from around the world, bringing the world’s leading photographers, curators, collectors, dealers and art lovers to become the art fair of reference in Asia.